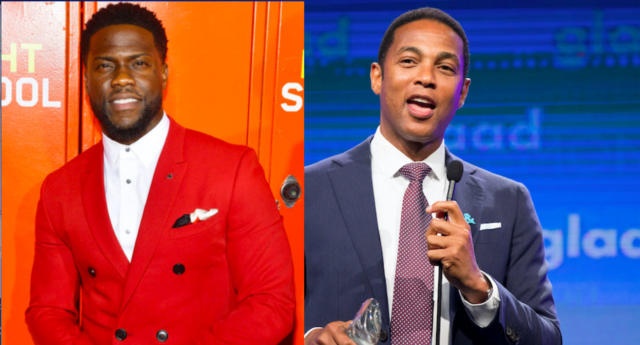 CNN host Don Lemon wants to give Kevin Hart a chance to redeem himself in the eyes of the LGBT+ community. Don Lemon was speaking on his show, late evening news/opinion programme CNN Tonight with Don Lemon, commenting on the news that the comedian, actor and producer has pulled out of hosting the Oscars after a series of homophobic tweets written between 2009 and 2012 resurfaced. “Put the camera on me,” Lemon instructed, making sure he could look straight into the camera for his heartfelt appeal to Hart. “Kevin. Call me. Let’s talk. Let’s make you an ally to the LGBTQ community,” Lemon said. Hart has so far not shown a particular desire to discuss his remarks. In his first reaction to the mounting controversy, Hart posted a video on Instagram in which he refused to keep revisiting what he said in the past and claimed he had changed, grown and evolved. “If u want to search my history or past and anger yourselves with what u find that is fine with me. I’m almost 40 years old and I’m in love with the man that I am becoming,” he wrote in a statement captioning the video. But the video seemingly failed to impress the Academy of Motion Picture Arts and Science, who gave him an ultimatum—apologise or lose the hosting gig. Hart had discussed the homophobic jokes in 2015, particularly one in which he discusses what would he do to prevent his son from being gay, in an interview with Rolling Stone magazine. “The funny thing within that joke is it’s me getting mad at my son because of my own insecurities — I panicked. It has nothing to do with him, it’s about me,” he said. By Thursday evening, the comedian eventually gave the LGBT+ community the apology he was asked for, and also gave up on hosting the awards ceremony.